The ALA (American Library Association) announced the 2018 John Newbery and Randolph Caldecott awards today. 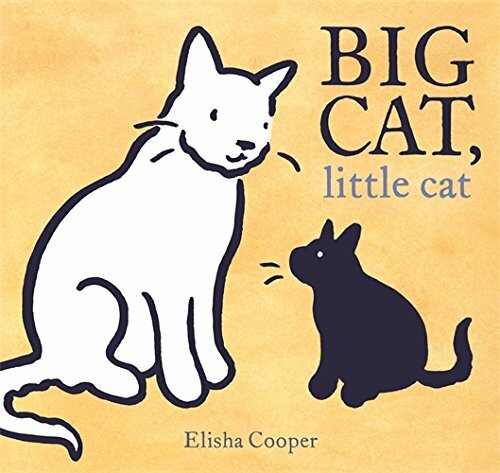 Honestly, I’m disappointed with the Newbery winner. The Newbery winner and honors books are meant to be the most outstanding contributions to children’s literature. Of the whole year. This year’s choice did not resonate with me. I love the Caldecott winner though. 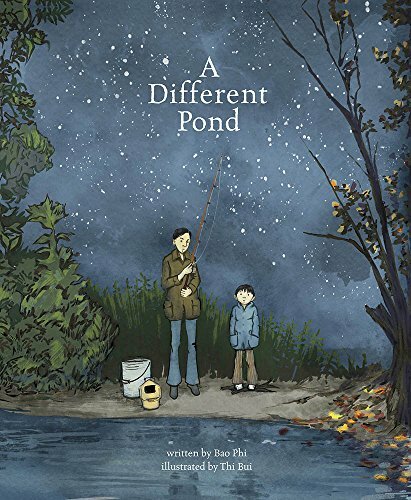 The Caldecott medal winners go to the most distinguished American picture book for children. I’m slightly off-kilter as I process these results. And I wonder what will you think. Ready for the results? 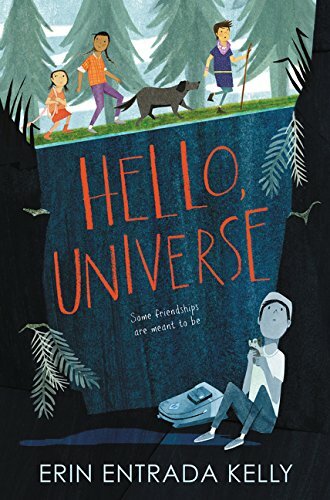 The 2018 Newbery Medal winner is the book Hello, Universe by Erin Entrada Kelly. I read it and didn’t even post a review because I didn’t find it compelling. Now that it’s awarded a Newbery (and has many starred reviews), I assume I’m in the minority with this opinion. Did I read it on a bad day? Whatever the case, I’m still puzzled by this choice. The story is about a boy named Virgil who, along with his backpack and guinea pig, gets stuck at the bottom of a forest well thanks to the actions of a mean-spirit bully. A so-called psychic girl, her little sister, and a lonely neighbor team up to eventually find and rescue Virgil. The book ends with the possibility of new friendships. I haven’t read this YA novel yet — have you? It’s about a 15-year old boy who is after revenge for his brother’s murder. He’s on an elevator ride that as people step on, reveals new, unexpected details about what happened to his brother. 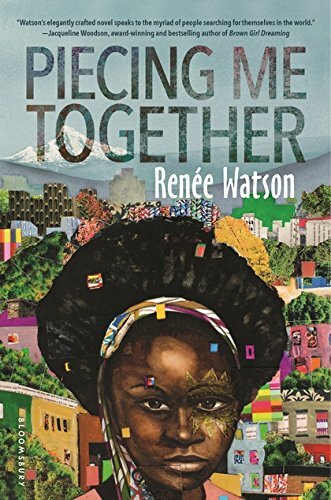 This is a thought-provoking, coming-of-age, discovering-who-you-are-as-a-woman-of-color story. 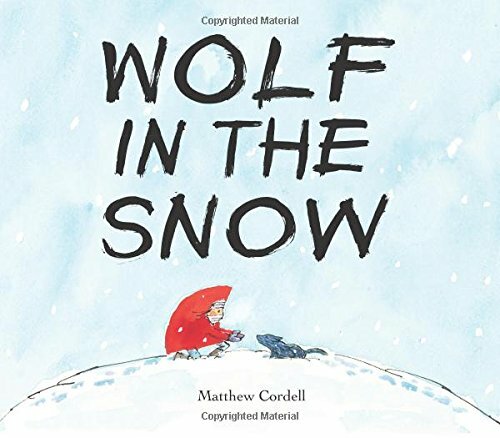 The beautiful, heart-warming picture book, Wolf in the Snow written and illustrated by Matthew Cordell, won the Caldecott Medal for most distinguished American picture book. It’s a visually stunning masterpiece about a girl in a bright red coat who leaves school in a worsening snow storm. The girl gets lost as does a wolf cub. The girl finds the wolf and carries him toward the distant howling of his pack. It’s a beautiful moment of reuniting the pup with his pack followed by despair as the girl collapses, freezing and lost. The wolves gather around the girl, howling to alert her people. Yes! The girl is found and reunited with her family. She returns home to snuggle by the fire with her parents and dog. I love the way Chin uses illustrated insets and borders — it catches the reader’s attention. 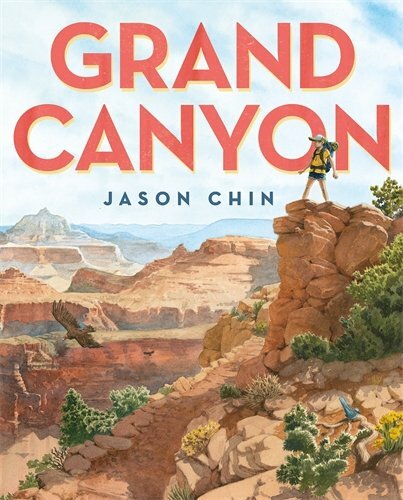 This nonfiction picture book is perfect for elementary readers learning about the wondrous world of the Grand Canyon. We read about the plants, animals, and geology — with just the right amount of text per page — as we follow a girl and her dad walking through the canyon. Lovely. 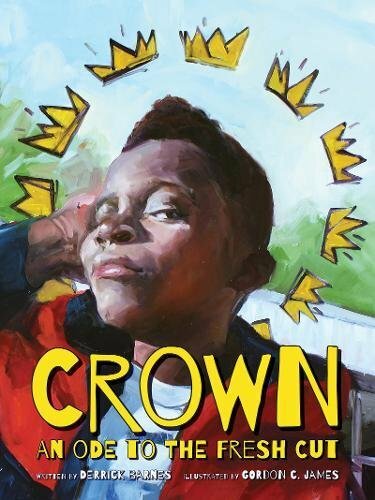 More book awards were announced today including the Coretta Scott King awards and the Printz awards. 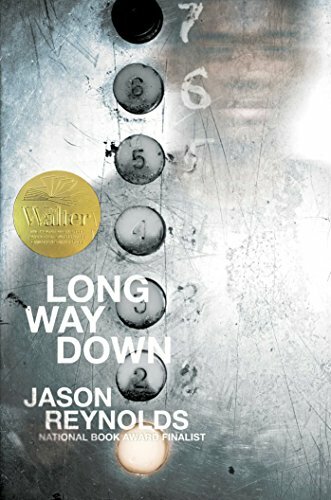 Visit the ALA site to read what books won awards and honors.